YOU DON’T HAVE TO LIVE WITH PAIN! HELP STARTS NOW. At Chiropractic Works, we strive to provide unique and cutting edge services that help patients heal from symptoms such as headaches, digestive problems, fibromyalgia and any pain associated with childhood trauma and stress. Your journey toward health and the cherished partnership between doctor and patient is the focus of at Chiropractic Works. We can help you! With all of our services we offer, we believe that we can help! We offer onsite X-ray services ans Sports Injury care, Cold Laser Therapy, Nutritional recommendations, Spinal Decompression Services, Different techniques (diversified (by hand), instrument (activator and Impulse), Drop techniques, Exercise protocols, Kinesiology Taping, Home Health aids like pillows, electric therapies, custom orthotics and other devices! In the past few years several patients asked why I didn’t do more with sports injuries here at Chiropractic Works especially since I seemed so knowledgeable in many aspect of sports injuries outside of the spine. I explained that many of the injuries and treatment protocols were part of a normal chiropractic education. Then, I decided to further my knowledge and continue my education with the CCSP accreditation and become a Sports Chiropractor. Certified Chiropractic Sports Physicians have additional education in the management of sports injuries on and off the field of play. If I’m on the sidelines of any type of sporting event I’m well trained in assisting the team staff and the injured athletes. Our practice is even better equipped with care for these injuries in our practice and helping patients prevent recurrences. Having personally had 3 minor knee surgeries and various other injuries related to knees, I have had ample opportunity to study and discover many aspects and complications of knee pain. I’ve learned specific chiropractic techniques therapies and treatments to treat both the knee, and/or the underlying cause. Patients are sometimes stunned that a “back” doctor is able to significantly help their knee problems. 50% of all tension headaches and 50% of all migraines headaches are caused, at least in part, from neck issues. If you can take even a small percentage of a headache’s cause away – you are much more likely to minimize the onset of a headache. Let us examine and analyze your particular case and see how we can be of assistance. Treatment for carpal tunnel starts with an accurate diagnosis. I’ve seen too many surgical scars with minimal results because all aspects of the wrist functions and nerve supplies were not carefully examined. By aligning the spine, checking the carpal bones and surrounding joints and musculature, we have had great success in alleviating wrist pain and tingling. 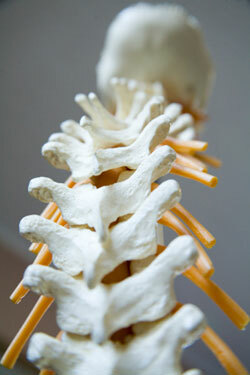 Our office has a vast array of techniques to treat all conditions and problems occurring in the low back area. We will customize the ideal treatment for your particular condition whether it is straight-forward chiropractic adjustments or spinal decompression sessions and cold laser treatments. Our years of experience and referral network of other specialists can help find the most appropriate and conservative care treatment for your back pain. Dr. Murray is not only certified in the Webster Technique, he has seen great results with women during pregnancy… As the due date draws near, most babies have assumed a head-down position in the mother’s uterus. But not always. By releasing the stress on a pregnant woman’s pelvis, the uterus and surrounding ligaments relax, permitting the baby to turn naturally! If you’ve been wondering whether or not chiropractic care is for you, we’d love to learn more about your goals and help you better understand this natural health and wellness modality that’s helped so many people exactly like you. Contact Chiropractic Works now to schedule an appointment—we know you’ll be glad you did and we look forward to working with you!